“Halt and Catch Fire,” despite being from a great AMC series on the rise about the personal computing age, is an idiom in the programming world. 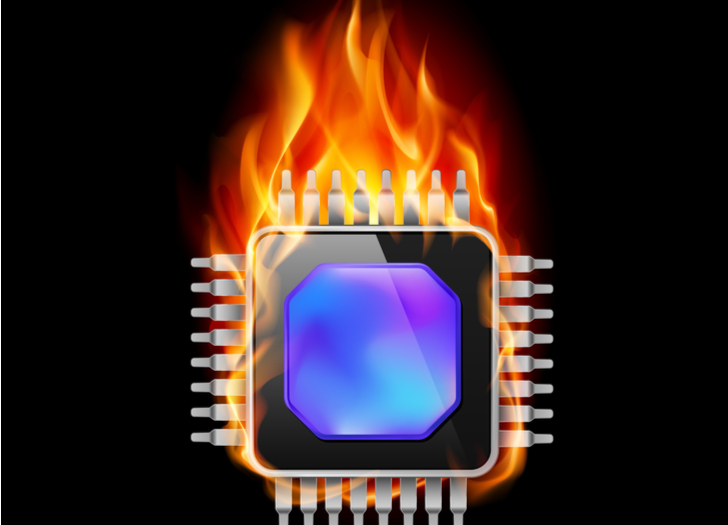 Abbreviated as “HCF,” it refers to machine code that causes a computer’s processor to freeze and maybe even overheat. I’ve never seen such a thing in person, but I have seen the following semiconductor stocks on the rise get red hot in recent weeks as traders price in a rebound for the sector. The rise of the chipmakers is driven by low inventory levels, a coming iPhone refresh cycle and hopes of a turnaround in global manufacturing. Remember that pretty much every durable good these days has digital smarts, whether it’s a refrigerator or a washing machine. Computers are literally everywhere. The VanEck Semiconductor Vector (NYSEARCA:SMH) is breaking out again, after enjoying a 30% surge off of its late-December low and then consolidating that move with a test of its 200-day moving average last week. The exchange-traded fund (ETF) has returned to levels to seen since early September — and further upside extension seems likely. 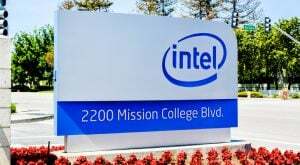 Intel (NASDAQ:INTC) shares are pushing above the highs set earlier in the month, extending a 20% move off of the lows seen in late January. A run at the prior high, set last spring, would be worth another 3%-plus move from here. Digitimes recently reported that shortages of Intel CPU chips could get worse in the second quarter, likely pressuring prices higher. Intel will next report results on April 25 after the close. Analysts are looking for earnings of 87 cents per share on revenues of $16 billion. When INTC last reported on Jan. 24, earnings of $1.28 beat estimates by six cents on a 9.4% rise in revenues. 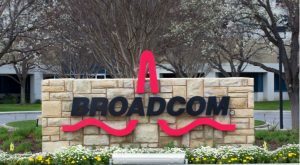 Broadcom (NASDAQ:AVGO) helped ignite broad buying interest after management called for a bottom in the semiconductor business in the second half of the year, news that trumped the reporting of a quarterly revenue miss. That sent shares soaring in trading on Friday, up more than 8% to test the $300-a-share level for the first time. The company will next report results on June 13 after the close. The company last reported on March 14, with earnings of $5.55 per share beating by 32 cents on an 8.6% rise in revenues. 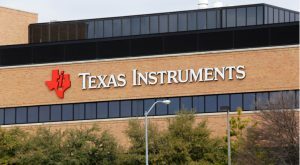 Shares of Texas Instruments (NASDAQ:TXN) are breaking out of their two-month consolidation range, returning to levels not seen since early September after spending weeks consolidating the 25%+ rally off of the December lows. The move puts shares back into the middle of a two-year resistance range that’s kept shares below the $115 threshold. The company will next report results on April 23 after the close. Analysts are looking for earnings of $1.16 per share on revenues of $3.5 billion. When the company last reported on Jan. 23, earnings of $1.27 per share beat estimates by three cents on a 0.9% drop in revenues. 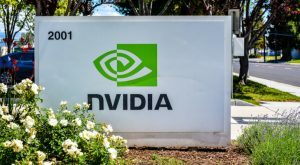 Onetime momentum favorite Nvidia (NASDAQ:NVDA) is in recovery mode now after spending the last five months consolidating after a nasty 55% drop from its early October high. Watch for, at the very least, a rally to the 200-day moving average which would be worth a gain of 24% from here. Nvidia stock was recently initiated with a hold rating by analysts at Craig Hallum. The company announced on March 11 that it made to deal to acquire Mellanox Technologies (NASDAQ:MLNX) in a $6.9 billion deal. The company will next report results on May 15 after the close. Analysts are looking for earnings of 81 cents per share on revenues of $2.2 billion. When NVDA last reported on Feb. 14, earnings of 80 cents per share beat estimates by five cents on a 24.3% drop in revenues. Shares of Applied Materials (NASDAQ:AMAT) are pushing up and over their 200-day moving average, threatening the first significant breakout for the stock since early 2016. A return to the levels seen back in August would be worth a gain of 20% from here. In the company’s most recent conference call, management noted that a need for new technologies to power AI and big data means a need for more performance per watt for processors — something that will benefit the company’s revenue growth. The company will next report results on May 16 after the close. Analysts are looking for earnings of 67 cents per share on revenues of $3.5 billion. When the company last reported on Feb. 14, earnings of 81 cents per share beat estimates by two cents on a 10.7% drop in revenues. 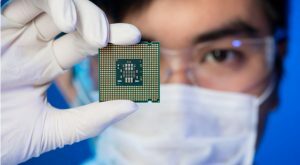 Article printed from InvestorPlace Media, https://investorplace.com/2019/03/5-chip-stocks-to-watch-next-week/.